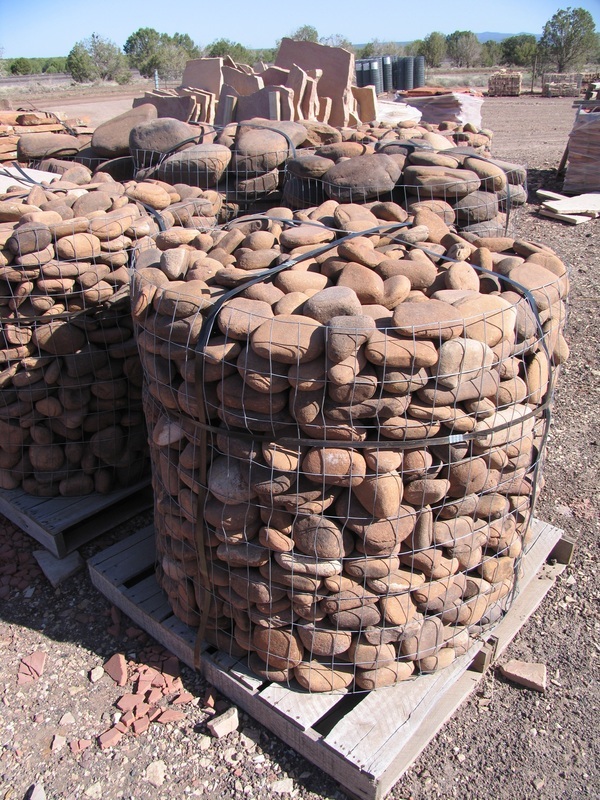 Gathered stones are beautiful stones that have been processed by nature and have surfaced. 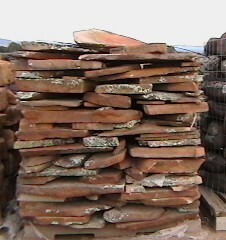 Varieties available include malapai, lava, limestone and moss rock. 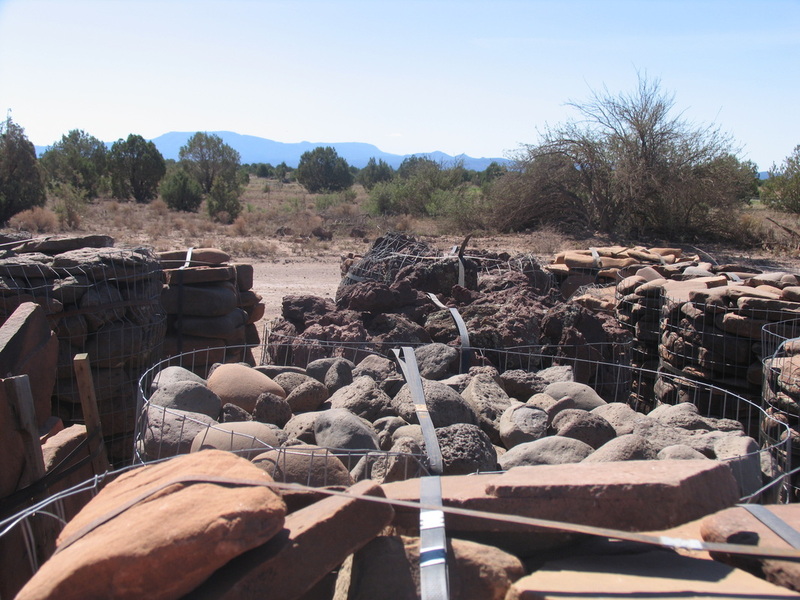 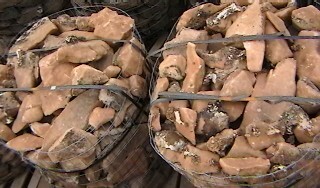 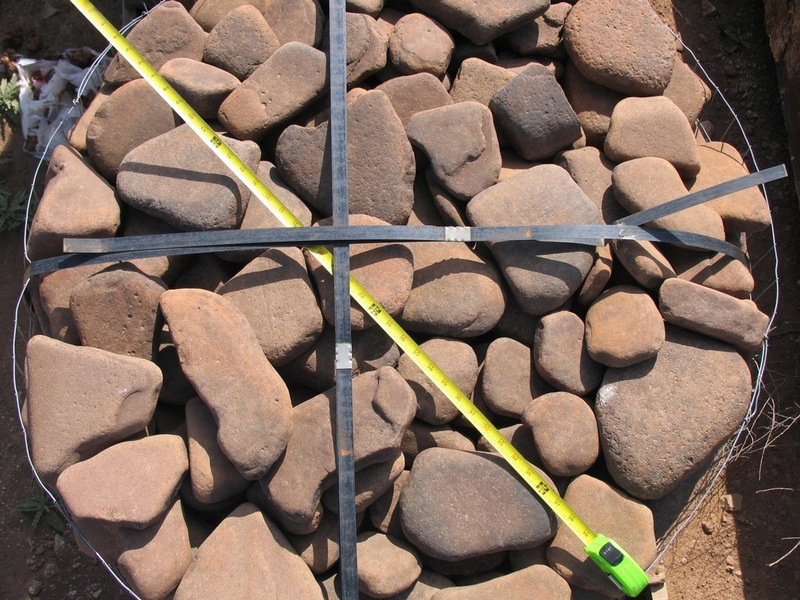 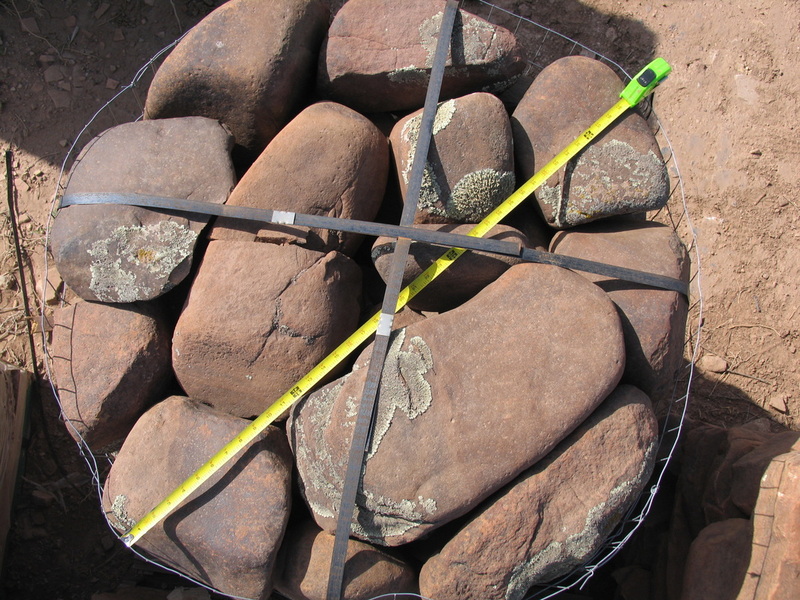 Pictured below are some of the gathered stones, inconsistent in shape, may have lichen growing, packaged either in baskets, or banded and shrink wrapped for shipping. 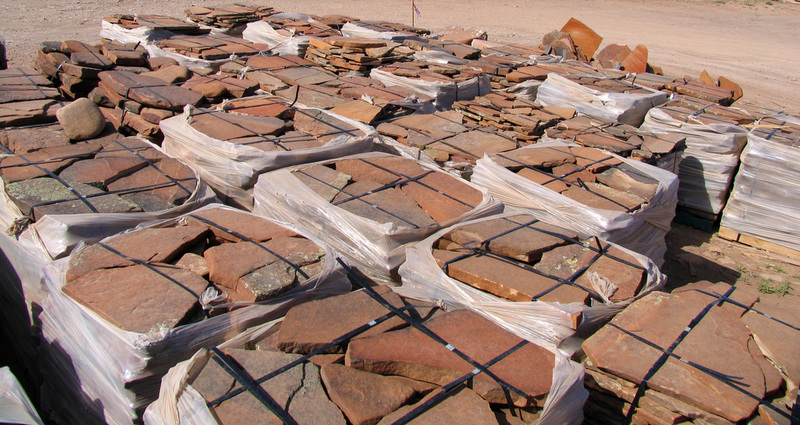 Riverwash are flagstone pieces that have been naturally tumbled and weathered with rounded edges. 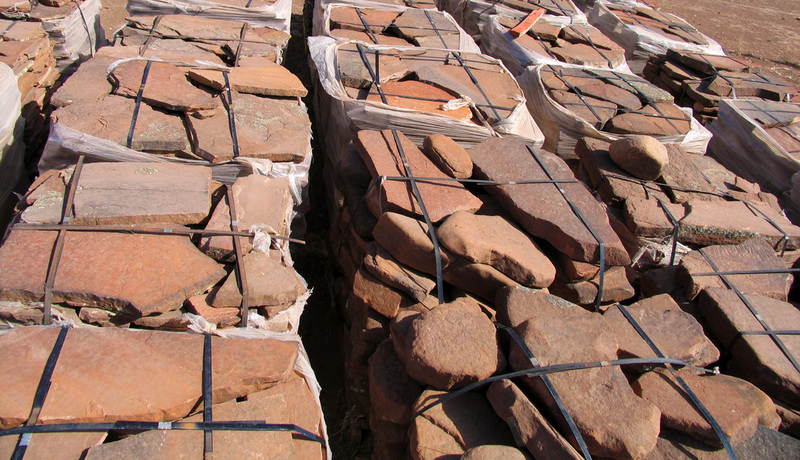 Malapai: is a black gray slate stone with some air bubble configuration. 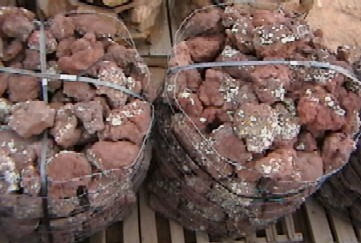 Lava: these pieces are reddish purple in color, were formed from a volcanic eruption. 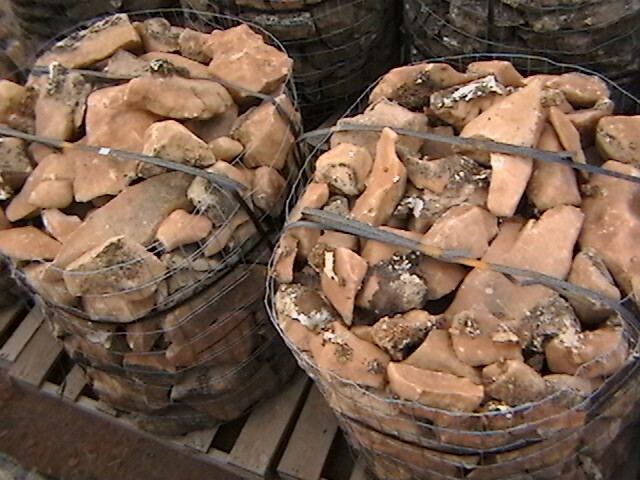 Limestone: these stones are shaded in creams and browns and some pieces have quartz nodules. 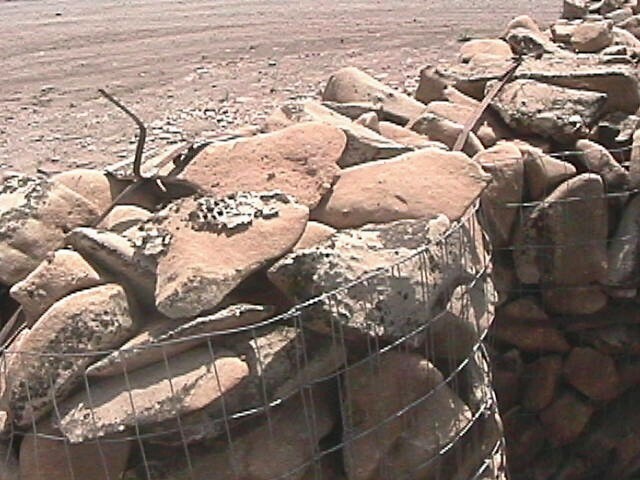 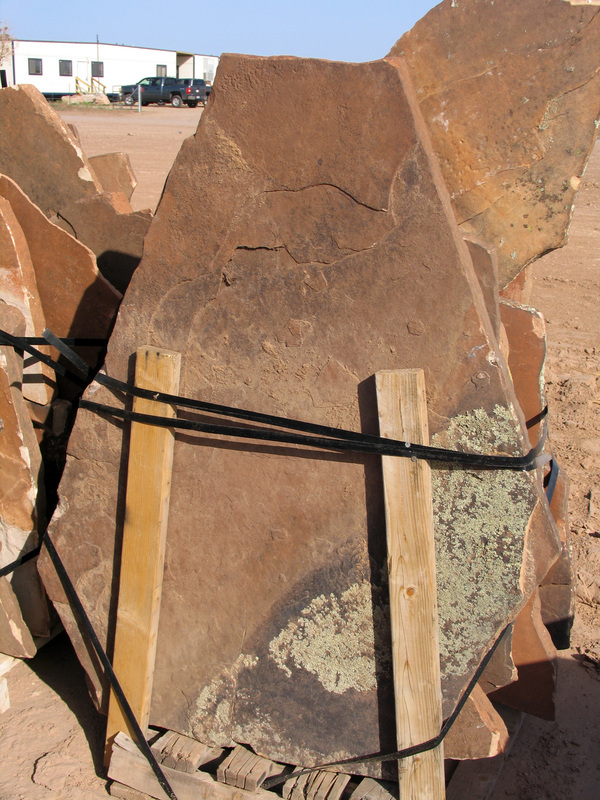 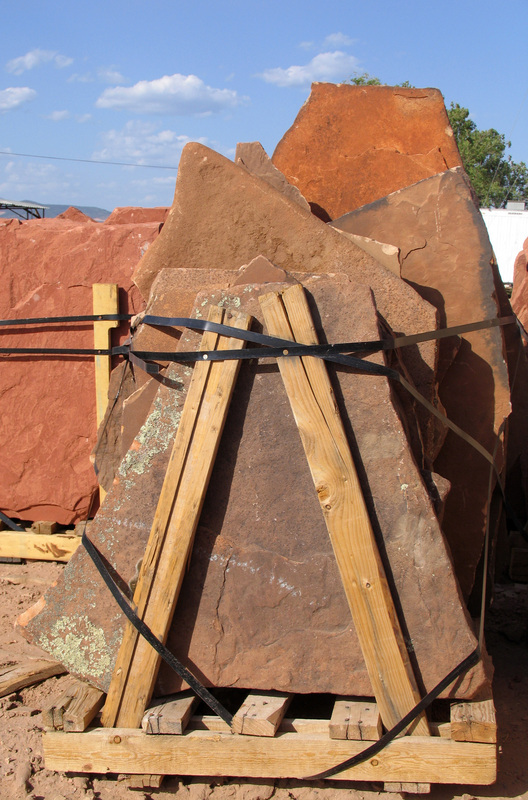 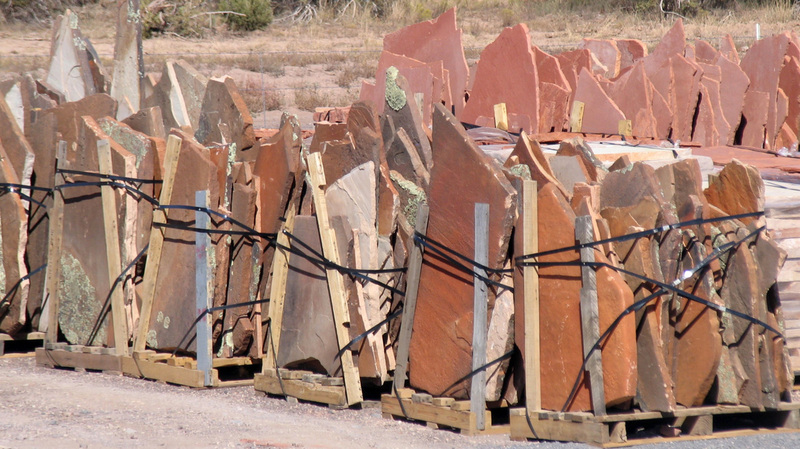 Moss Rock is a beautiful piece of Coconino sandstone that has a naturally weathered rounded bull nosed edge. 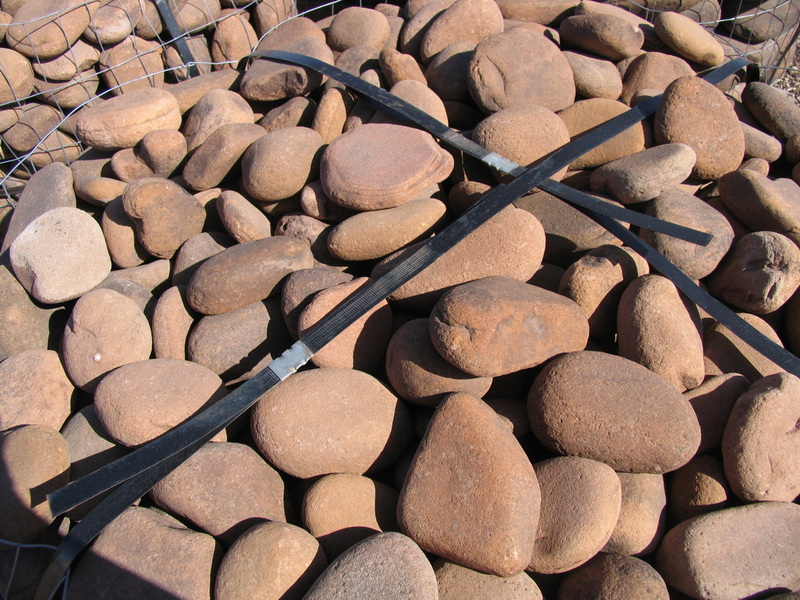 Moss rock is available in both a patio and flagstone grade of stone.